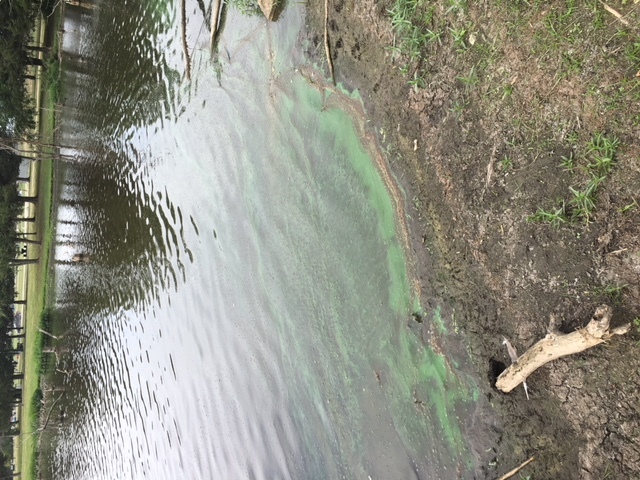 July 18 There are early signs of blue-green algae forming in the NW corner of our City Lake. Here's a photo from Overbrook City Lake taken this morning, July 18th. 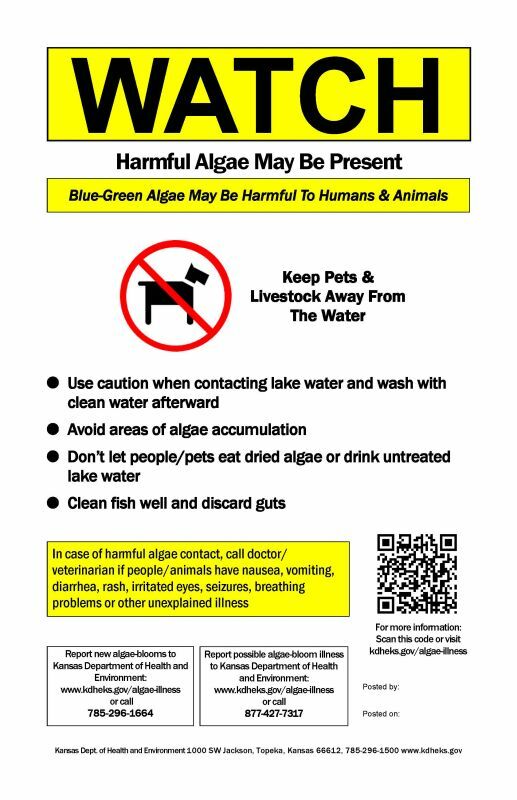 KDHE will be out to test Overbrook City Lake on Monday but suggested that we post as a “Watch” for the weekend as there is a potential for a bloom. 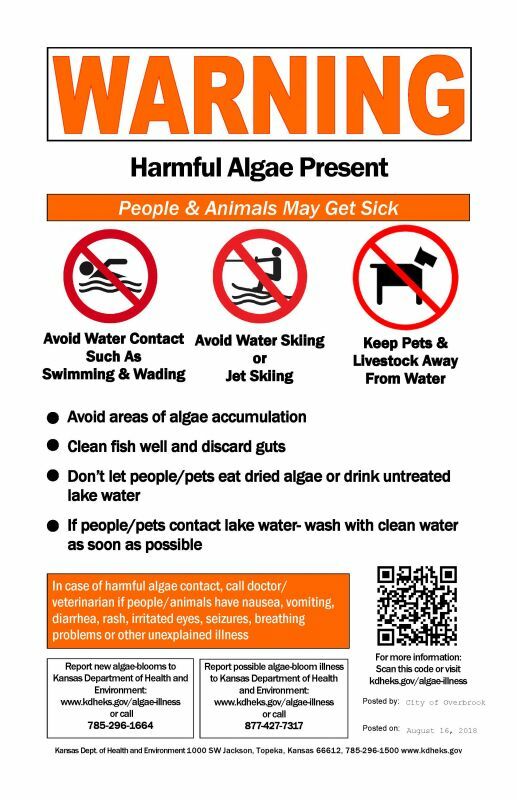 Please check http://www.kdheks.gov/algae-illness/index.htm for more information. To raise funds for a new mural, the Overbrook Betterment Committee has ordered t-shirts from "Shirts and Such" featuring our current mural on a gray t-shirt. The cost is $20 and they can be purchased at Overbrook City Hall. Shopping local sustains our community and supports local merchants. A win-win for all! Click here for more information on Local Businesses! © 2019 City of Overbrook, Kansas, KS. All rights reserved.